The Blot is loving Mike Allred’s new BUG! : The Adventures of Forager comic book mini series from DC Comics’ Young Animal imprint! How can you not love Jack Kirby’s quirky insectoid Fourth World character!?! 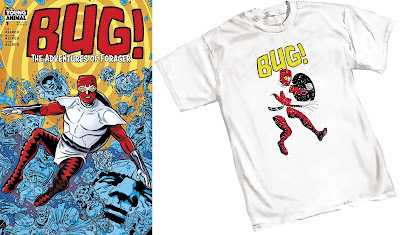 Whether you’re a fan of Allred’s new book or Kirby’s New Gods, you will definitely want to pick up this awesome new BUG! t-shirt from Graphitti Designs featuring Mike Allred’s killer art. This is definitely a must get for The Blot! The BUG! 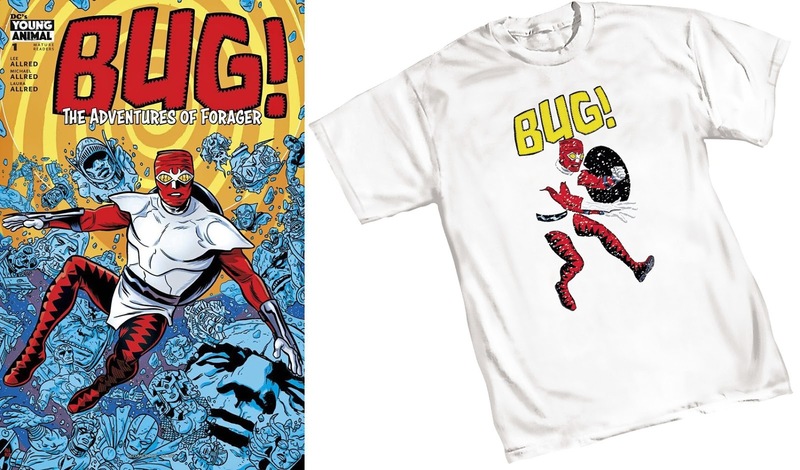 : The Adventures of Forager T-Shirt by Mike Allred x DC Comics x Graphitti Designs will be hitting comic book stores everywhere this November 2017 in sizes S-XXL for $19.95-22.95 each.